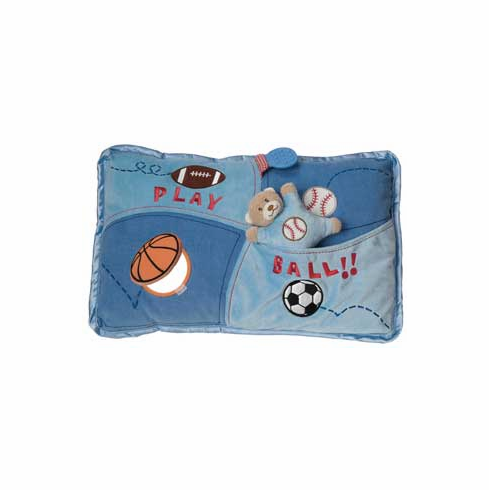 Little MVP 18" x 12" activity pillow with separate teddy bear ballplayer rattle included. Numerous textures, patterns and sounds - fully interactive! Newborn and up. Play Ball!